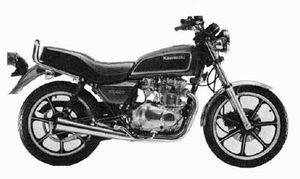 Remarks: Basically same as KZ440-D except styling. Handlebar, seat, fuel tank. This page was last edited on 26 August 2010, at 18:20.